29612 City Center Drive Warren, MI. | MLS# 218088171 | The premier resource for all real estate information and services in Metro Detroit. Fantastic 2 bedroom, 1 1/2 bath end unit condo in the City Center Square complex behind Warren City Hall and Police buildings, available for occupancy on October 1. 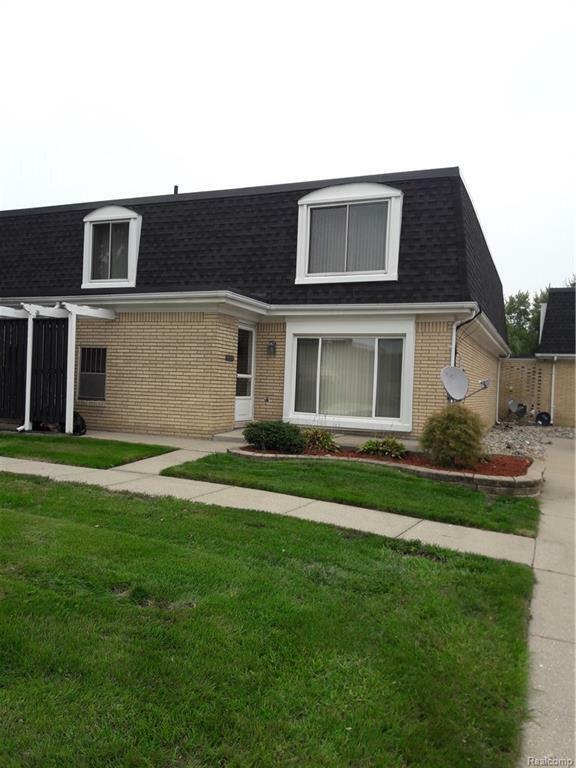 Convenient location near the GM Tech Center and easy access to I-696 and Van Dyke. Large master bedroom with tons of storage space, large upper hallway closet, large living room and dining area, main floor laundry room, lots of cabinets and space in kitchen. Parking is directly outside the front door. Rent includes water, grounds maintenance and trash removal. In unit washer and dryer, dishwasher, microwave, stove and refrigerator. No pets, no smoking. First month's rent, $1,000.00 security deposit, $150.00 non refundable cleaning fee. One year lease. Submit application with all 3 credit reports and scores, proof of employment and last 2 pay stubs. Don't miss this one!